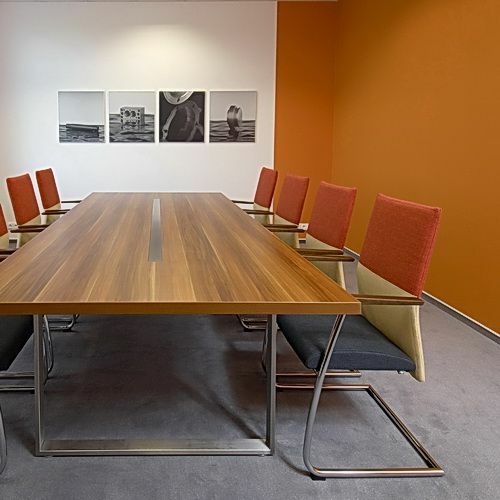 Upholstered conference chair on a springing base. Springin character of the carrier metal construction is enlarged by independently springing back and along with the shaped seat they create perfectly comfortable sitting. 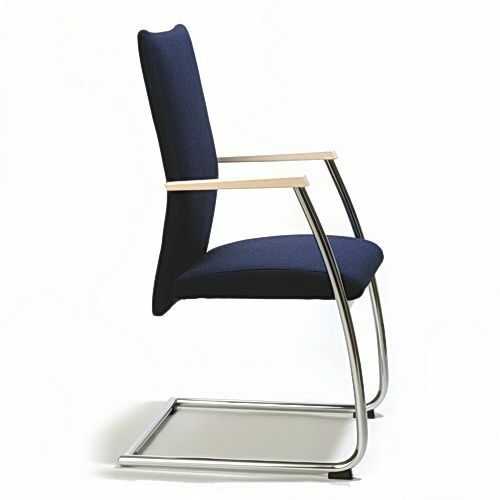 Armrests are made of solid beech and are fixed on the carrier metal base independently on the back. 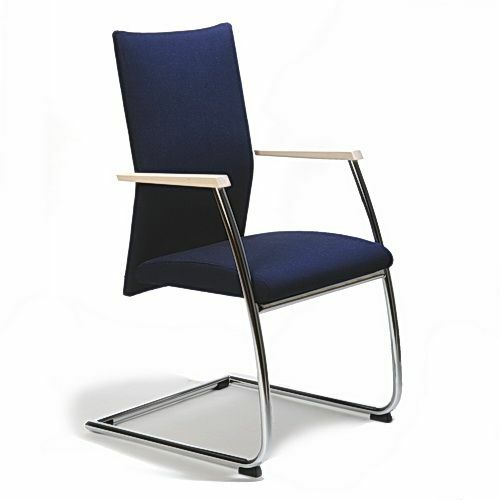 The main characteristic of this model is its modern shape austerity and perfect relax sitting.